baby happy mothers day Love mother Happy Mothers Day Mother!! Some say we can't see God, We can feel him. Atheists say they don't believe in God. An Agnostic believes that it is not possible to know whether God exists or not. So there arises a question about the existence of God. I personally believe that there is a super natural power that binds us together. It is the unique power or feeling which answers our prayer. It is a force which cleanses us from evil. I personally feel that somewhere on our subconscious mind, there is a feeling which is instilled that makes us believe about the presence of the Providence. Almighty is the supreme power for me and I have always believed in him. He doesn't has any appearance but he takes form of any person. We can't see God, but as I said we feel him. I tell you today that I see God everyday in form of my mother. A mother has a special influence on you. She has many roles to play in your life and at each stage of your life you look upto her.A mother knows you 9 months more than anyone else. Within her womb, you slept peacefully growing into a strong baby. Her womb which bore you sheltered you for 9 months only made her strong. 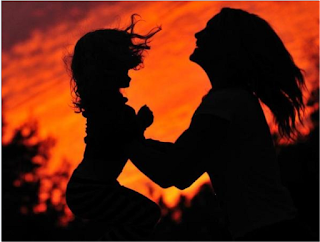 This is a special feeling for every woman and the joy of being a mother is beyond boundaries. She starts dreaming about you the day she is conceived. While you metamorphose from a small fetus to a baby within those 9 months, she thinks about you. You bring light to her life and peace to her heart. You are her gift, a present to be precise. You entered this world one day and you opened your eyes. You blinked and looked around and saw your family members. Every one smiles at you and brings gift for you. But for you to enter the world, she goes through a series of pain. This pain makes her complete. The pain that she undergoes during 10 min of pleasure that laid a foundation for your birth is nothing in front of the pain she suffers to bring you out in this world. You never knew that and probably you can never feel that pain unless you are a mother. At that time, you like a passenger is successful transported from one place to another, but she is like the Pilot. She is the pilot who goes through all the pain of successful transporting you in this world, a world full of sunshine. In this world full of sunshine, she raises you with love. She adores you. She buys you everything that you need. She massages you so that you grow strong. She feeds you the milk from her breasts which turns you stronger and makes you healthy. She smiles at you when you do something funny as a baby. She watches you grow as a baby. Every gesture or action that you do pleases her. She notes every action of yours as a baby. The first step which you took was a big day for her. The joy of being a mother grows eventually as she watches her infant taking baby steps. You stumble and fall down initially but slowly and gradually you invoke a smile on her face. She wants you to walk and run. She wants you to call her "Maa”. When you do, she feels complete. 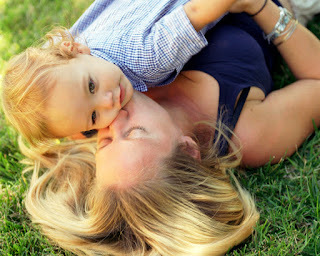 The feeling of being a mother is the greatest feeling which a woman could ever get. A father can't feel what it means to be a mother. She teaches you and wants you to grow into a stronger individual with great characteristics. She teaches you discipline and principles of life. She is heartbroken when you fail and fumble, for she doesn't want you to fail. She wants you to be the leader in every aspect of life, for the joy it brings only makes her happy. She scolds you every time you do a boo-boo.By this she wants to tell you that she wants you to be good and wants you to walk on the right path of life. For life is short and in this journey of life she won't be with you everytime.She may fail in the process, but it’s you who needs to identify yourself. She will create a platform for you as you grow into a strong individual. She envisions you as a successful person. It’s you who should realize this and make her proud. Listen to your mother’s words, words of wisdom that mean a lot. Religiously follow her commandments which shall lead you to victory .She sacrifices her happiness for you. Never betray your mother when she grows old. For at that time she is weak and fragile for her heart beats only for her kids. Her children represent her world and happiness. It’s your duty to look after her. Do not forsake her and hurt her during her last days. If you think about all that she did for you, you have done nothing. You have to repay all the deeds but that lest concerned. She talks amiably about the little things of life. She wants to be your best buddy with whom you could share your darkest secrets. A mother’s heart is a precious asset for it is imbued with special feelings which others don't possess. Somewhere in her heart, you live and with this hope she lives her life. She doesn't cares for you with an expectation that you will look after her during her old age. In this materialistic world we have nothing to give. The world is turning selfish to such an extent that we fail to identify our loved ones. At one stage, the one who begot us turn into a stranger. The entire essence of life changes when you start ignoring the one who loves you. A mother takes years to make her boy into a man. Even if you did the greatest mistake of your life, a mother would smile and forgive you. Even the most beautiful rose would fade eventually, but the love of a mother is pure and will never fade. 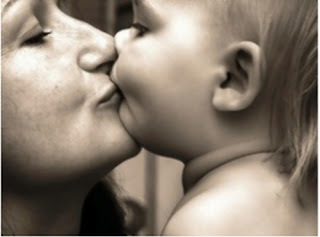 A mother’s love is the purest and the everlasting love which will never fail. On this Mothers day, I request you to let your mother know how much she means to you. Tell her how your life would be without her. There are several people in this world who are not lucky enough to live with their mother. They crave for that special love and feeling. Considering their plight and struggles, realize that you are the luckiest person on Earth to cherish the purest form of love in form of a mother’s love. Go Embrace her and tell her today itself how important she is for you. God bless you and your mother. I sing in delight the mothers song. For her, i am her world." This Mothers day, I salute all the mothers through this article. Love your mother and never hurt her. God observes you through her eyes. Stay blessed and healthy. Happy Mother’s day. Dude, too good a post man. I'm literally havin a lump in my throat.. too good one..
To all mothers around the world.. happy Mother's day. Hey I liked your blog banner. Too cool.